As you (gracefully) age, you may have started to notice ‘smile’ lines at the sides of your eyes or deep furrows of your brows and forehead, especially when you are reading, looking at a message on your phone or in your day to day chats. These beginning signs of more permanent wrinkles to come are actually creases that are being worn into the skin by making the same facial expression over and over. Those ‘expression lines,’ also known as frown lines or crow’s feet, are caused by the muscles contracting underneath the skin. Botox is the ideal solution to eliminate this. Botox® is a purified protein that is produced by the clostridium botulinum bacteria. It is a neuromuscular agent, which means it acts to block the signals between the nerves and the muscles. In the facial muscles, these nerves “tell” the muscles when to contract in response to facial expressions like frowning or smiling. As the muscles contract, they pull and tug at the skin to create lines, wrinkles and creases which deepen over time. Botox® blocks those signals, so when you make a facial expression, the muscles do not contract and lines and wrinkles don’t form. It is important to know that Botox works beautifully for early “dynamic” movement lines but that it will not get rid of the deeper, permanent lines which are there when you are resting (although it will soften these “static” lines). At Atlantic Dermatology and Laser, we use the smallest amounts of Botox to ensure the most natural, refreshed look without causing you to look “frozen”, “overdone” or allow you to walk around with what we term “Dr Spock” eyebrows. It is our aim to prevent the formation of static lines while still allowing you to maintain freedom of expression. With a very delicate touch and careful precision, a few tiny injections with a fine sterile needle are placed in the area based on the treatment plan developed specifically for you at Atlantic Dermatology and Laser. No anaesthesia is needed, but for sensitive patients a cool pack may be used to gently numb the treatment area or a numbing cream can be applied pre-treatment. A nuanced lift of the eyebrows or picking up the corners of the mouth are all easily achievable with our careful techniques. Our subtle touch, artistic eye and uncompromising demand for perfection are the reasons our patients trust us. 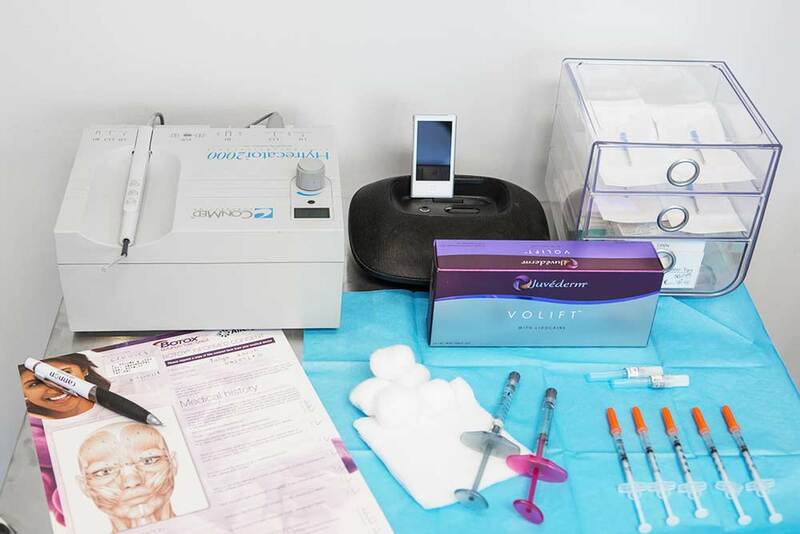 We will follow-up with you two weeks after your first Botox procedure to fine-tune the amounts and make sure that we optimise your ideal Botox result. We believe passionately in the value of combinations of therapies to slow down ageing: a little bit of this and a little bit of that combined to maintain a youthful appearance. Botox can also be used on the underarms to stop perspiration and one quick treatment per season can give you dry underarms year-round. For the 2 weeks prior to any injectable treatment we ask that you discontinue any non-steroidal anti-inflammatories such as Neurofen (unless medically necessary), as well as any supplements containing fish oil, omega 3 fatty acids, gingko, or ginger, in order to minimize the risk of bruising. If you have a history of herpes simplex cold sores, and if the Botox® is used near your mouth, we may prescribe an antiviral to prevent an outbreak. Everyone’s body processes Botox differently, but a treatment generally lasts at least 3 months and effects can become more durable with time. The same way that your muscles lose strength when you’ve had a break from going to the gym, so the same applies to your facial muscles! We look forward to helping you achieve your aesthetic goals.